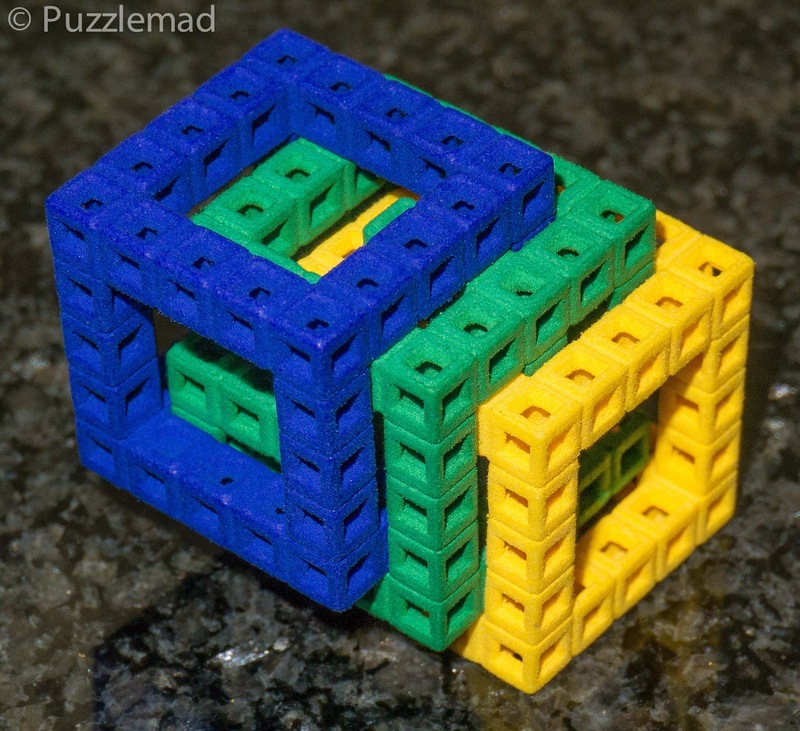 PuzzleMad: It's good to be amongst friends! I apologise profusely to the photographers (Chris, Jeremy and others) for stealing these photos off of Facebook - I did not take any myself and so had to nick them! 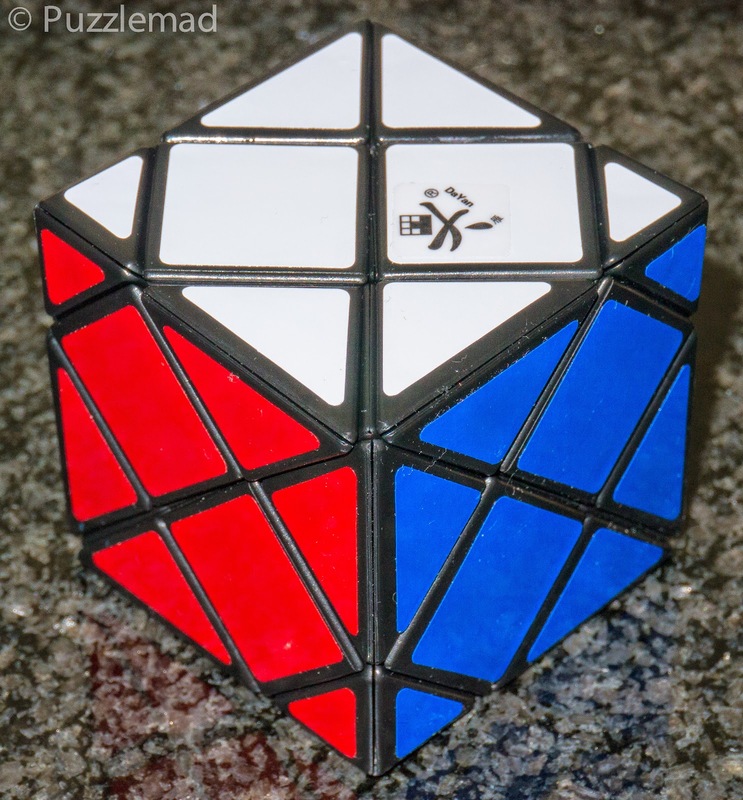 I am sure that most of you know by now that a rather large annual event is coming up and puzzlers from all over the world are converging on London for the 34th International Puzzle Party. This event is by invitation only and not everyone can get an invite. 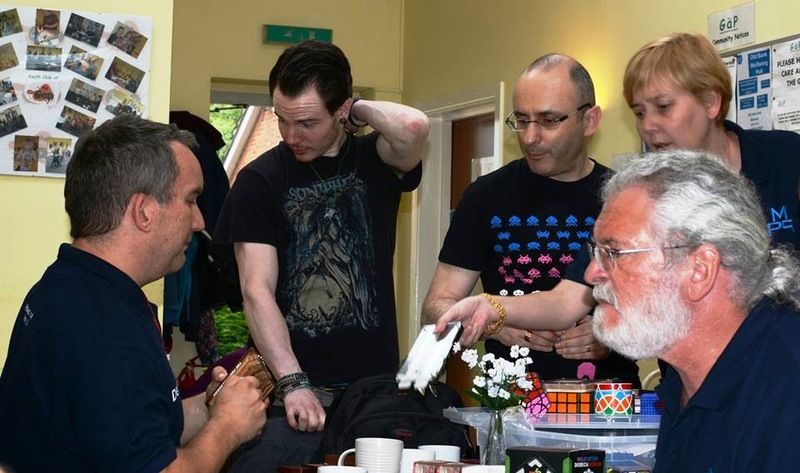 So for this reason, with so many visitors around Nigel organised the 16th Midlands Puzzle Party to be the weekend before IPP to allow non-attenders to meet up. There is so much going on that even Allard has given up the ghost and abandoned blogging for a week or so! Rox will probably post as she can. I suspect that I also will not be able to post much either but decided that I had to show off a little of the shenanigans from MPP and show the delightful swag I came back with! The big hall in Warwick had already been booked by another party so we started off in the small waiting area - there was no room to unpack all our toys but we didn't let it didn't stop us showing off the most fascinating stuff we had brought! It was a great time for me to finally meet all those people from around the world who I had been communicating with via the blog contact page, via Facebook or via email. There are one or two people I have chatted to more than weekly for several years but never met - it is this community thing that I truly love. We had visitors from Holland, America, Canada, Israel, China, Hong Kong and probably several other places I don't recall. We crammed ourselves in and caught up and puzzled! I was in heaven. 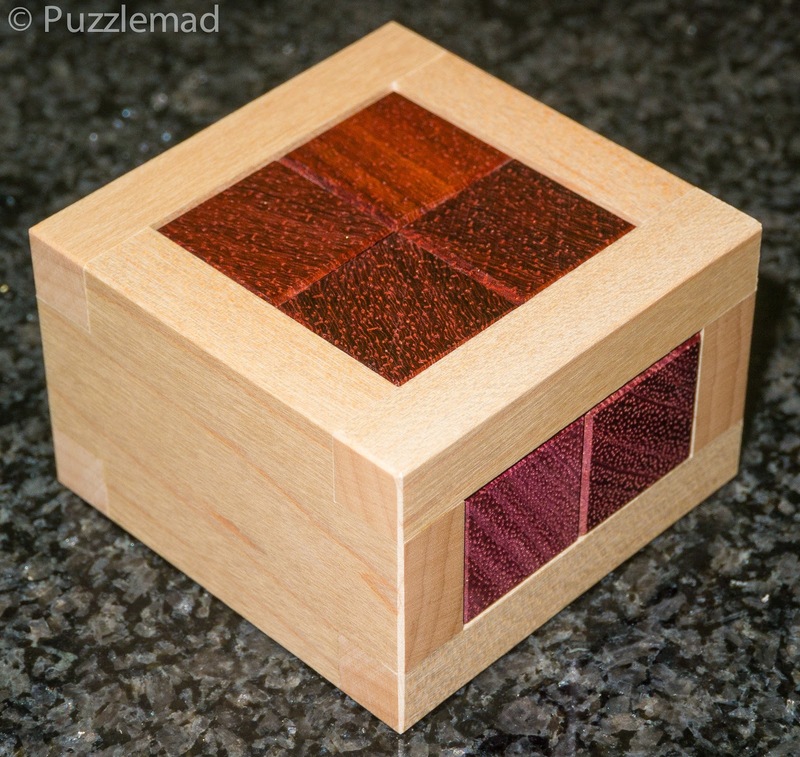 Of course, I had brought the Parallelogram and many many people had a try at it with surprisingly little success - Shane should be very pleased that some of the greatest puzzlers in the world failed to solve it! The imp was there early and lived up to her boisterous reputation and thoroughly enjoyed her "boys and toys" weekend! Of course we all love her dearly and let her away with anything! I was pleased to be able to hand her a solved version of the Cast Galaxy puzzle which she had dismantled and failed to reassemble for 2 weeks! Needless to say I felt rather pleased with myself! In fact I solved quite a few that day which is very unlike me! After a couple of hours the MPP proper started as we moved into the big hall and set up our tables of toys to show off. We need lots of space! 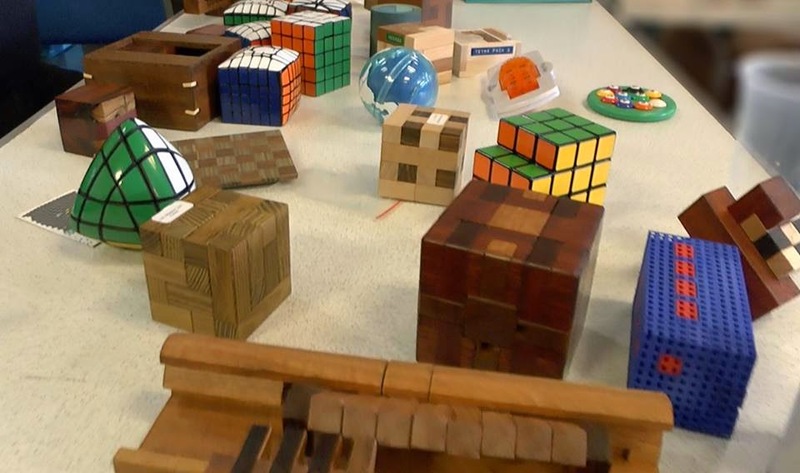 I had brought a mixture of puzzles to show off that most would not have seen before - there were twisties from Traiphum and Gr_Cubed, some new prototypes from Jerry MacFarland and of course, the Parallelogram! Now it was not all play you know! There was some serious chatting to be done and maybe a little increasing of the collection - Shh! Don't tell Mrs S! Some wood changed hands! 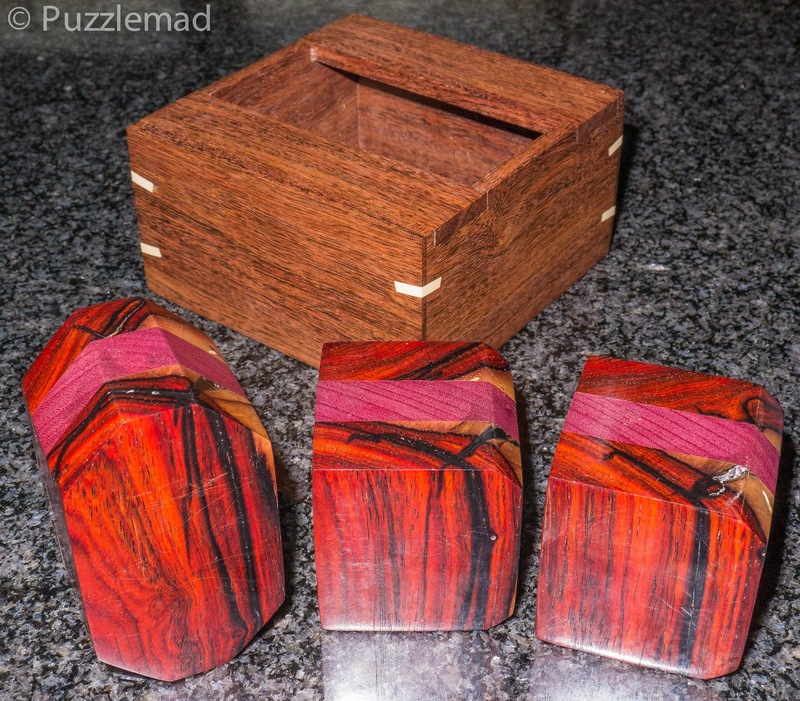 Neil, who has turned into a Master woodworker brought me a fabulous copy of the ODD puzzle in Cocobolo and Purpleheart with a Chechen box with Holly slipfeathers. I have wanted a craftsman version of this for years and now have got an absolutely beautiful and unique copy. He also brought me my copy of Rail box which had been shipped to him a few months ago. I might have ordered something from Brian Young but no-one needs to know about that! 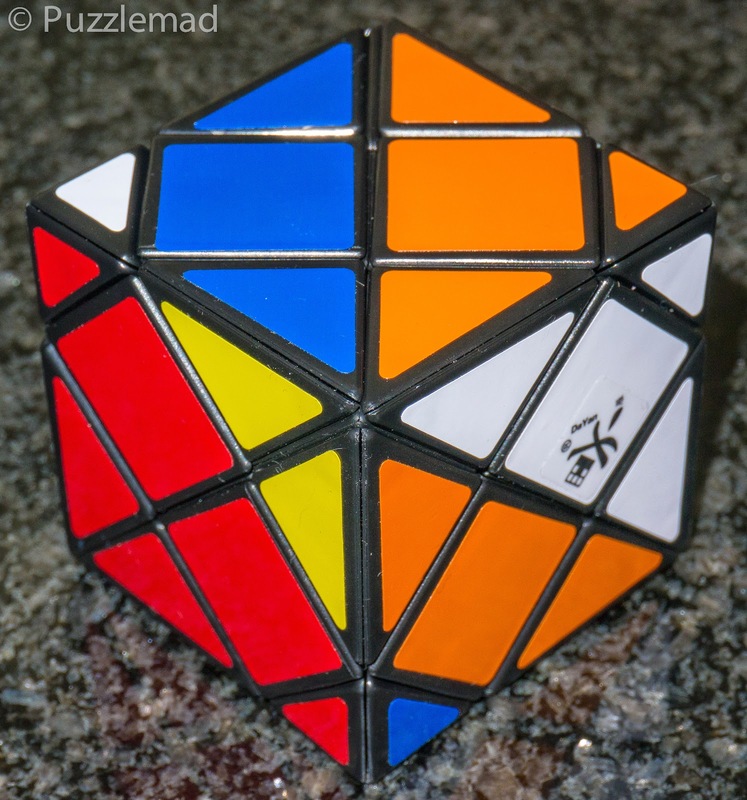 The Dino skewb is a corner turning twisty which rotates in different depths at each corner. I am greatly looking forward to playing with this! A nice little puzzle which may lead to his bigger versions. Sorry that I have not had time for any new reviews but much puzzling has gone on and is about to. I suggest that you all look at the 2014 design competition page to see what may be coming out in the next year. Looks like an excellent party....I must try to attend one of these in the future!